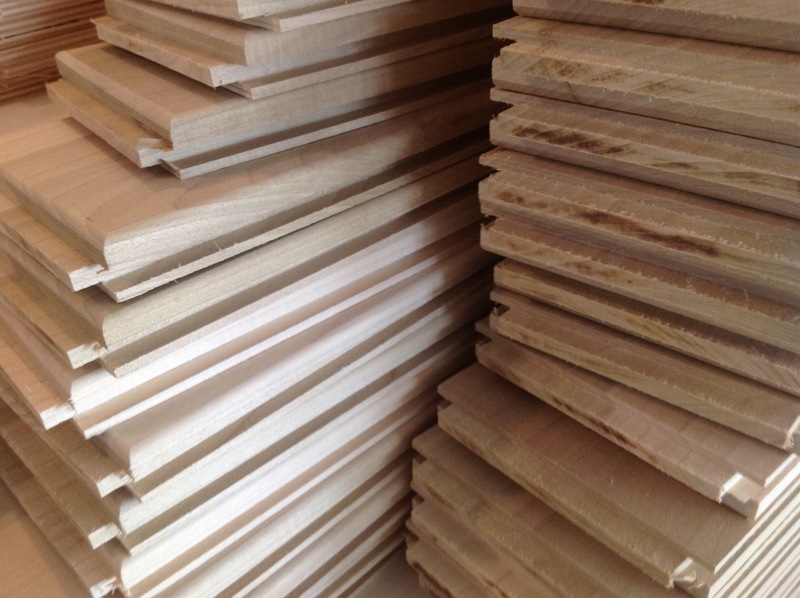 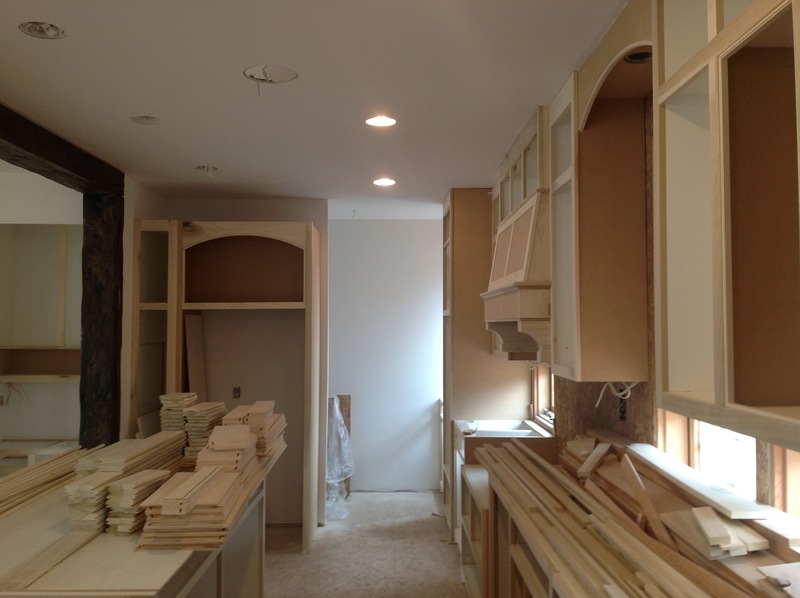 Kurt has been masterfully translating Estee’s vision for the cabinetry into reality. 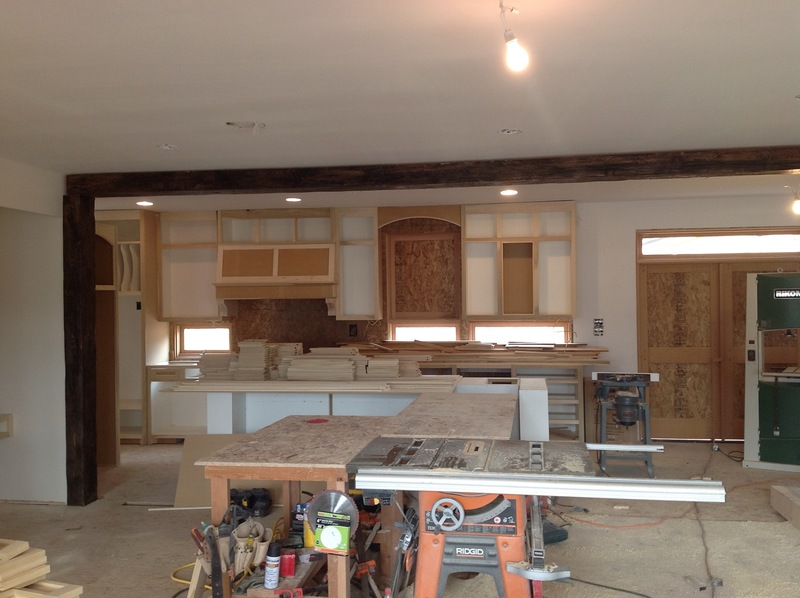 Taking all the features and design ideas she had, Kurt has created a great workspace, and we are very excited to cook! 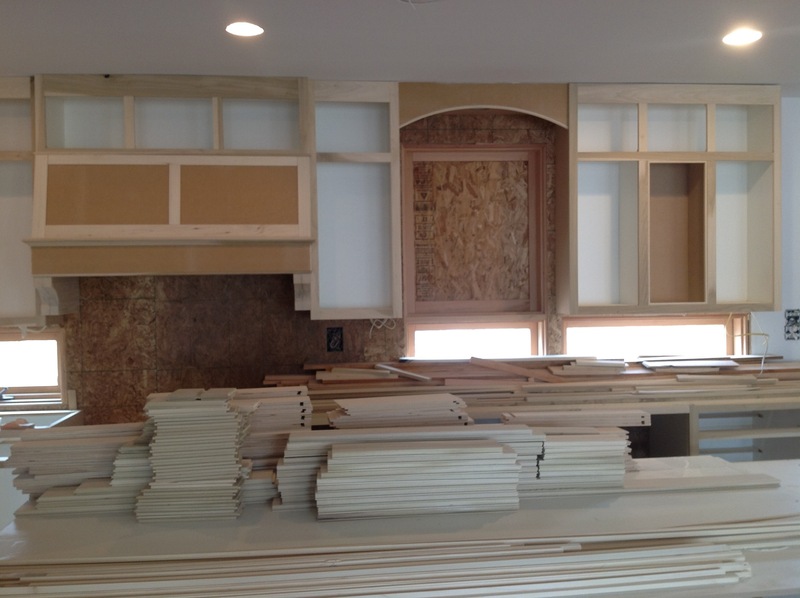 In the next few days, all the cabinetry will be completed, and countertops will be installed. 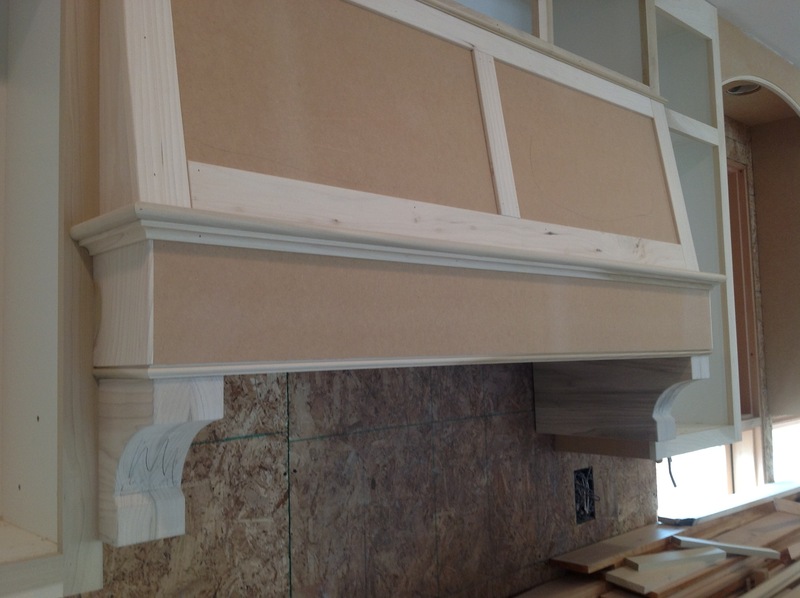 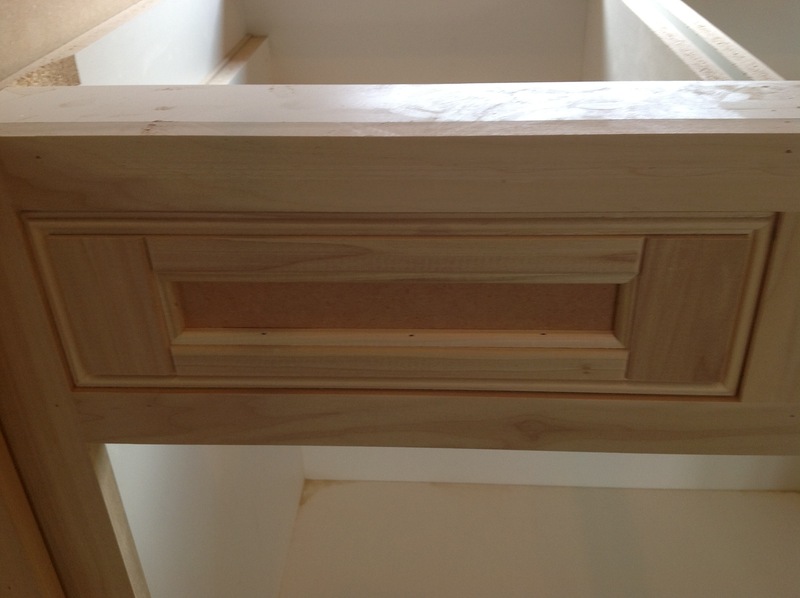 The cabinetry will be painted a white, with ivory Avonite countertops.